WASHINGTON The Justice Department is rejecting Republican suggestions that Attorney General Eric Holder committed perjury when he told Congress he had never been involved in a potential prosecution of the news media. Holder's testimony came just days before it was disclosed that he had approved a search warrant application calling Fox News journalist James Rosen a probable co-conspirator in a leak investigation. In his May 15 testimony, Holder had told the House Judiciary Committee that "potential prosecution of the press" for disclosing classified material is, quoting, "not something that I've ever been involved in." In a letter to the House Judiciary Committee chairman, Virginia Republican Bob Goodlatte, the Justice Department said at no time before or after seeking the search warrant have prosecutors sought approval to bring charges against the reporter. Goodlatte released a statement Monday suggesting the letter "raises more questions than it answers." "By having a subordinate send this response rather than Attorney General Holder himself, this response begs the question of whether Holder has something to hide," Goodlatte said. "He can't outsource the responsibility for his actions to lower level staff - the buck stops with him. "...The House Judiciary Committee anxiously awaits his response to our May 29 letter by this Wednesday's deadline," he concluded. 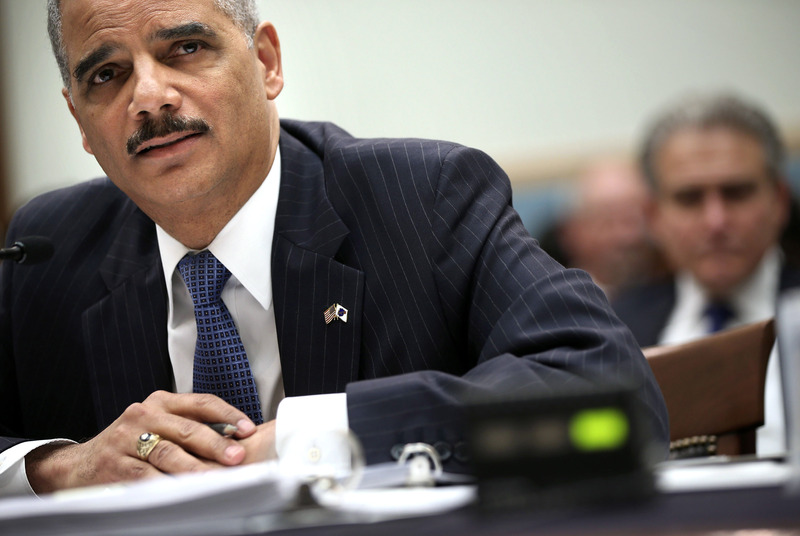 Rep. Jim Sensenbrenner, R-Wis., chairman of the Crime, Terrorism, Homeland Security, and Investigations Subcommittee, in a statement of his own repeated the expectation that Holder himself respond by June 5, and called the letter from the Justice Department "insulting and further proof that Attorney General Holder refuses to hold himself accountable."